A fourth suspect has been charged in Belgium with terrorism offences related to November 13 deadly attacks on Paris, the federal prosecutor said. The unnamed man was one of 16 people arrested in raids on November 22. The rest have been released without charge. 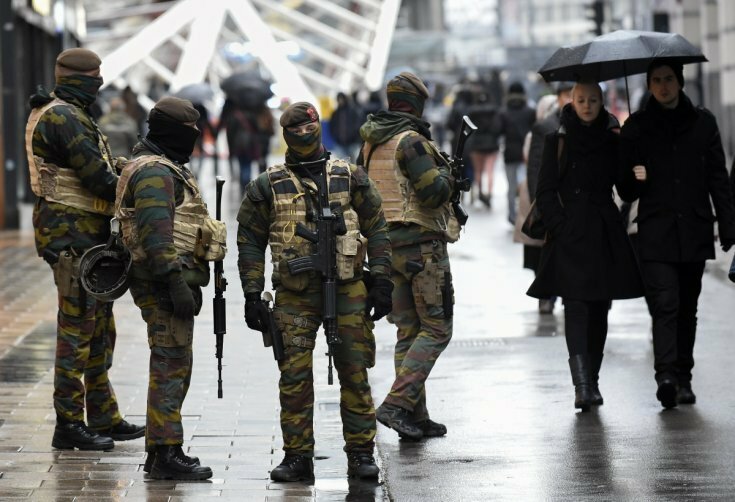 Belgian Prime Minister Charles Michel said he would maintain the highest security threat level in Brussels, warning of an imminent threat. However, authorities plan to reopen schools and the metro on November 25. The multiple attacks in Paris – claimed by ISIS – left 130 people dead. A statement from the federal prosecutor’s office said the man had been charged with “participating in activities of a terrorist group and with [a] terrorist attack”. Of a further five people arrested on November 23, two have been released, while “further enquiries” are under way regarding the others, the prosecutor said. Mohammed Amri, 27, and Hamza Attou, 20, have already been charged with aiding Paris attacks suspect Salah Abdeslam, who remains at large. A third, unnamed suspect has also been charged. In a separate development, French police said an object that appeared to be an explosives belt was found in a bin in the Paris suburb of Montrouge on November 23. The item is being examined. Mobile phone data suggest that Salah Abdeslam – whose brother died in the attacks – was in that area late on the night of the attack. Universities, schools, large stores, shopping centers and the metro system were closed in Brussels on Monday as the highest security alert remained in place for a third day. Armed police patrolled the normally bustling streets of the capital. Announcing that the state of alert would remain at level four for another week, Charles Michel stressed “we must all progressively get back to a normal life”. The rest of Belgium remains on alert level three, meaning an attack is seen as possible and credible. France has stepped up security in schools, imposing a series of measures including compulsory safety drills and banning parking outside school premises. Also on November 23, France carried out its first strikes against ISIS from its Charles de Gaulle aircraft carrier, newly deployed in the eastern Mediterranean. French jets bombed ISIS targets in Iraq and Syria, including Raqqa, ISIS’ key Syrian stronghold, the defense ministry said.